Burberry is kicking off it’s Fall 2016 collection with new styles and a new celebrity ambassador. 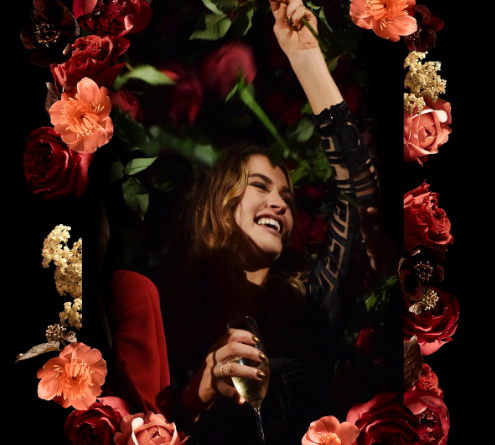 Actress Lily James, known for her role in Downton Abbey, represents the brand in a new fragrance ad. Burberry celebrated the fall collection and James at an exclusive party over the summer. The new Burberry fall collection is now available and surpassing our wildest fashion dreams. Long gone are the classic, conservative styles. Their trademark red and tan plaid has grown up and turned into bold check coats in deep burgundy and black. 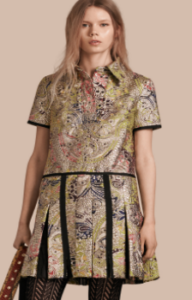 Burberry describes this collection as “A Patchwork,” stating on their website that it is “a mix of pattern and texture influenced by British artists, musicians and history. Military coats with floral dresses. As a part of its fall collection, Burberry proves its can be edgy, sporty and chic all rolled in one look. The collection definitely smashes the brands overly mature reputation. The Patchw ork bag, The Buckle Boot and the makeup look.” This collection is perfect for the girly girl with a little bit of edge, filled with floral dresses with flippy skirts and heavy trench and military jackets. Every piece is individual and interesting. 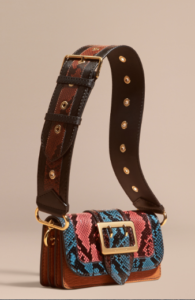 The patterns range from jacquard to leopard, as well as functional, with warm jackets, sturdy rucksacks and bags, and heavy duty buckle boots. Continue reading to shop our favorite pieces and tweet us @realsnobbydiva or Instagram @snobbydivamag your favorites! Morgan Kelly is a writer and student at the University of Southern California. Morgan, an Atlanta native, is an honors student and volunteer with the Leukemia and Lymphoma Society.